Recently, the latest stage of the Ford C-MAX promotional campaign, C-MAX Live, was revealed at the 2013 New York International Auto Show. 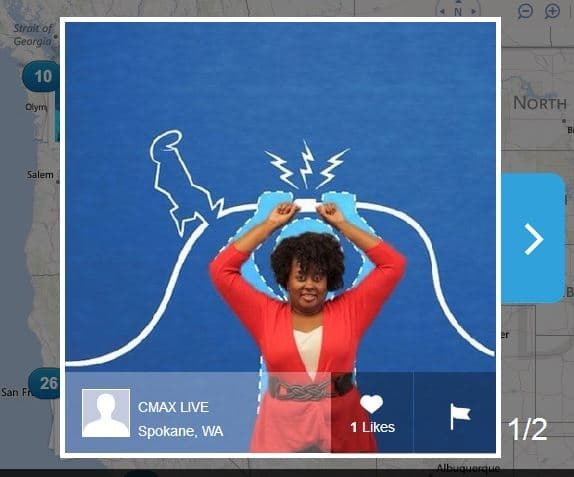 Its crux: Imagine yourself part of a live crowd-sourced animation on Instagram—that’s C-MAX Live. So how did this unique social idea begin? It started this past fall with the 2013 Ford C-MAX launch. The advertising reintroduced the world to La Linea, a simple line-drawn character many may remember from the original cartoons. Run in TV, print, digital and out of home ads, the campaign was in need of a social component that could familiarize people with this fun character and the C-MAX brand. And what better way to do that than literally invite users into this character’s world? Marrying traditional and social media in a totally new way, the idea was to design a story centered on real people helping La Linea. Sixty-eight individual frames would then be pulled from the animation to create single out of home boards in the 10 major C-MAX markets. These placements would include wild postings, mall kiosks, movie theatres and events. Passersby would then be invited to line up their bodies in front of dotted lines and have a friend take their pic with Instagram with the hashtag C-MAX Live. Those photos would then be stitched back together to form a live crowd-sourced animation populated with people all over the country, available to be seen right away on the site cmaxlive.com. The brainchild of Ford’s advertising agency, Team Detroit, the concept was exciting, the storyboard solid and the basic proportions easy for people to participate in, but they needed a strong partner. Enter the filmmakers from Shilo to finesse the actions and pinpoint frame rates in order to ensure the still images moved at the same speed as the character. Add that to some major math and Shilo’s animation expertise … and it was time for the digital build. Rehabstudios was brought in to design the back end. Through the use of object recognition bar codes, Rehab was able to mark each board in order to make sure every Instagram image would be pulled into the right place within the animation. Users would then be directed to go to a landing page to not only check themselves out, but see any of their friends who had also joined in the fun. In addition, users could find other boards in their area, as well as share their animation with friends. Thanks to a constant stream of new photos coming in, the animation will always be dynamic—so it’s never the same twice. Which means all the more reason to see it, share it, and enjoy it again and again. The excitement began May 1. So, keep your eyes open for C-MAX boards in the wild or search for a board near you (or a friend) at cmaxlive.com. Fans at home can watch in real time as the animation populates with real people from across the country. And remember: If you snap a pic with La Linea, don’t forget to smile. Photo-sharing app Instagram isn’t the first service to help brands and businesses share pictures from a mobile device to your community and it definitely won’t be the last. Instagram, fresh from finalizing its acquisition by Facebook and crossing the 100 million users mark, has become the prominent dashboard for capturing, editing, and sharing images across the social web. With the growing importance and emphasis placed on images within social media, Instagram has become an optimal visual sharing mobile platform. If your brand or business is ready to integrate Instagram into your content strategy and social media mix, here are 10 things you can do now to get started on the path. Instagram is currently not set up to have brand/business accounts, but you can set up more than one personal account. If you already have a personal Instagram account, just make sure that you sign-up for another account using a different email address. KEY TIP: If you are having difficulty securing a username, Instagram does have a trademark policy in place and by contacting Instagram you may have a chance at claiming your business Instagram name. Instagram allows you to add a profile image, bio, and link to your website. Take advantage of filling these out and keep your information descriptive and simple. KEY TIP: Since Instagram is rooted in mobile usage, make sure that the website that you decide to link your profile to is mobile friendly. Instagram can be an excellent visual starting point for any photographic content that you wish to syndicate on other platforms. Take Facebook, for example, you can share your Instagram photos to brand pages, ensuring that your content displays larger and more prominent in Facebook streams than conventional shares and updates. KEY TIP: Be sure to connect your account to Facebook, Twitter and any other third-party social sharing sites where you have an account (Profile > Edit sharing settings). Instagram is a great platform to tell your brand story and can allow you to connect with your audience on a very emotional level. Spend time researching what Instagram consumers are most excited about, what type of content they engage with the most, and why consumers should even follow you on Instagram in the first place. KEY TIP: Planning out your brand story and content strategy ahead of time will give you the insight into how and where your Instagram content will be distributed within your social media ecosystem. Much like an editorial calendar for your blog, Twitter, or Facebook page, Instagram should be viewed with the same comprehensive tactics. Brands can earn greater reach and results by investing in a journalistic approach to their content. Move your editorial calendar away from promotional messaging to the delivery of very useful, inspiring, and meaningful images that will drive engagement and positive viewing experiences. 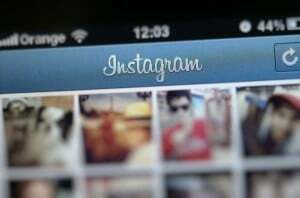 You can define a schedule on how often you would like to update Instagram. At the beginning of the week you may decide to post behind-the-scenes images of your business, followed by new product updates mid-week, and finally ending with inspirational quotes or photos leading into the weekend. KEY TIP: Entering a social platform takes commitment and consistency. Over time, your brand or business should be able to understand what type of images are most engaging within your community. You will also learn when is the optimal time your Instagram audience is most active. Since Instagram is a tool that works best in conjunction with other social platforms, developing a strategy within a holistic social media strategy is a strong approach. Visually-emphasized sites such as Pinterest, Tumblr and Facebook can benefit from the additional photographic content that will help further the reach and engagement of your messaging. KEY TIP: When re-publishing content across multiple platforms consider adjusting the copy on each platform’s post. 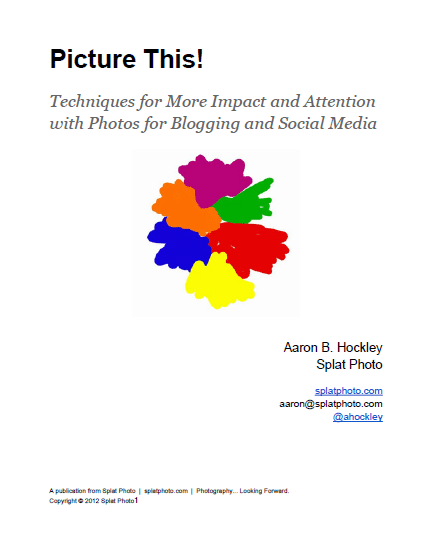 Copy that is suited for Pinterest with a specific call to action may not work for Facebook. Facebook and other social platforms may require a different call to action. Sticking to a set Instagram editorial calendar can get overwhelming at times, especially when you find yourself with a shortage of visual content to update. This can be a perfect opportunity for your brand or business to begin involving your staff and employees. Not only will empowering your staff in contributing to Instagram give them a stronger sense of ownership, it will also show your employees a more creative side of your business and how social media can play a valuable part. KEY TIP: Like any other social platform it’s about defining a brand voice. Instagram is just a more visual medium. Behind-the-scenes photos from staff and employees can put additional faces to your brand or business, as well as show a holistic view of your brand. Be sure that you stay engaged with your community even when at times you may feel like you have nothing to share. Just like any other social platform, remember that Instagram is a community too and that reciprocity is key! Reach out to your followers and other Instagram users by liking and commenting on photos, especially if they mention your brand or business. This can increase visibility and provide additional insights to defining your community. Responding back to comments can be viewed as active participation in the community and will continue to keep your consumers engaged and happy. KEY TIP: Other engagement opportunities can include creating contests and promotions that encourage your community to talk about your brand or business. Feel free to share any promotions/contests you may have running on your other social profiles. This will help raise the awareness with your consumers that you are on Instagram and will be providing content that may be valuable to them as well. Incorporating hashtags (just like on Twitter) will help increase visibility. A great start can be as simple as using a hashtag for the photo’s subject matter, location, filters used, and maybe even additional inspirational descriptions. While hashtags can increase visibility and build context around your images, don’t go overboard. Instagram now places additional emphasis on geo-located images with their integration of a map function in app, geo-tagging your photos can provide additional visibility. KEY TIP: If you don’t like the look of all those hashtags in your photo caption, feel free to add hashtags in a comment below the caption. 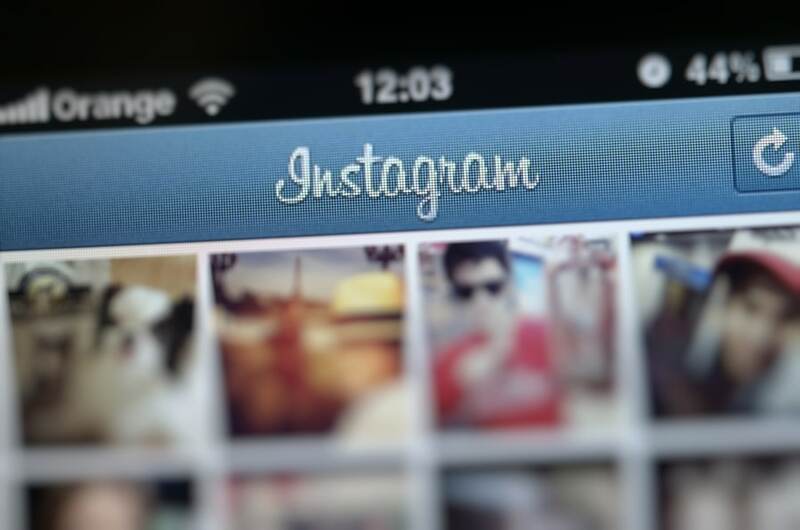 This will keep updates cleaner yet still prove functional within Instagram search queries. As for geo-tags, adding a location to your photos, whether it is a city or even your actual place of business, will provide greater context around your Instagram images that consumers can engage with. After all is said and done, gaining more insight into your community and content will keep you on the continued path of optimizing your photos. There are a number of different tools such as Statigram or SimplyMeasured that are available for brands and businesses that can shed light into your most engaged times to post during the day, best filter used, and even identifying your brand advocates who engage with your content the most. KEY TIP: Define what your success metrics are when it comes to Instagram and developing your strategy. This will help you to know what goals you want to achieve and what you’ll need to optimize to get there. Remember that Instagram should reflect your brand or business as a whole and not attempt to create it’s own identity. Instagram can be a positive investment within your social eco-system that you may be pleasantly surprised with later down the line.